I find that motivation is lacking when I decide to participate in evening races, especially during the summer months when there is lingering heat from the day. Morning races avoid the temptation of forgoing the start line for dinner or otherwise more appealing nighttime social activities. However, next year when the New Orleans Track Club’s Tipitina’s Rhythm and Blues 5K rolls around, I won’t have any issue getting excited about taking part. The race had me running with a bigger group of friends than normal on Saturday night. Not only did the usual suspects (Anne, Katherine, and Kevin) come out to join me, my running partner for all of my Disney races who lives in Kentucky was in town. Karen and Emmeline annually ride in the Krewe of Muses during Mardi Gras, and the organization happened to schedule an event the same weekend as this race. It was exciting to get to run with Karen somewhere other than Orlando or Anaheim. Being the good sport that she is, Emmeline succumbed to our whims and signed up to race with us as well. Over 600 runners were swarming in Uptown New Orleans at the corner of Napoleon Avenue and Tchoupitoulas Street when we arrived. While half of the runners were some of the same faces that participate in numerous Crescent City races throughout the year, the other half were part of a program called Youth Run NOLA. The organization and its volunteers educate, train, and work with youth from throughout the community to run in races and live healthy lifestyles. The vast majority of these kids were running their first races ever, and even more were running their first 5K event. 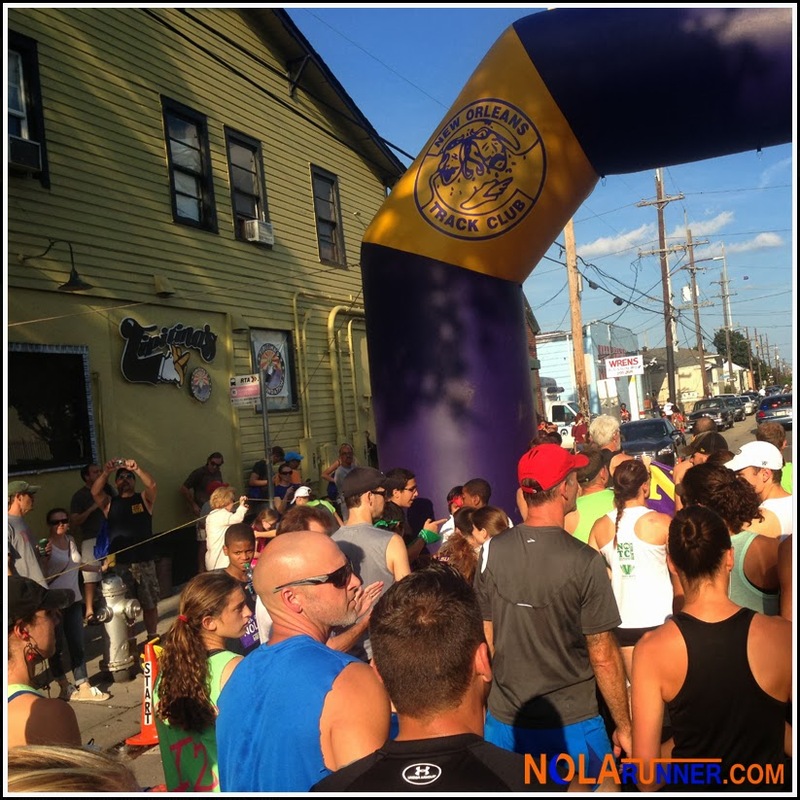 The race was a straight out and back along Tchoupitoulas Street, starting and finishing at the historic Tipitina’s location on Napoleon Avenue. Kevin and I decided to run together, so we lined up near the front of the pack knowing that we wanted to start fast and then level our pace out after we had cleared the more narrow area of the street. 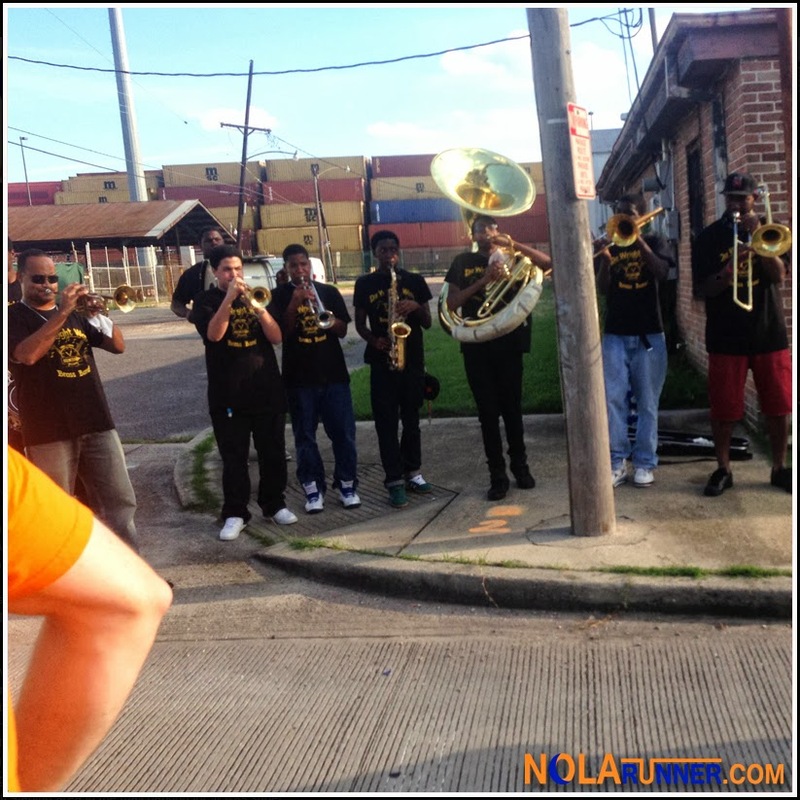 The beneficiary of the race was the Tipitina’s Foundation, which provides instruments for school music programs. As a result, a highlight of the race was local area high school brass bands performing on the route. These bands certainly helped keep the energy up for the runners and provided great entertainment. There was one water stop on the route that runners hit just past the one mile marker on the way out, and then again near the second mile marker on the way back to the finish line. I nearly flew through the stop the first time passing it because I was feeling great. On the way back, I was forced to stop to get some fluids. After hitting the turnaround halfway through the route, runners were facing the sun for the remainder of the race. To maintain pace, I needed the water. While I was at the stop, I was also offered a beer. My response was a laugh and “I wish.” Emmeline, I later found out, succumbed to the peer pressure and took a beer break in mile 2. Meanwhile, even after my water stop, Kevin stuck with me and we finished the race strong after maintaining a decent pace. The first 500 finishers of the race received a medal commemorating the achievement, so we grabbed ours along with some water, and headed back to the finish line to cheer on our friends. Karen, Anne and Emmeline finished strong, allow us to quickly wander over to the race’s after party. As usual with a NOTC event, the beer was already flowing and there were numerous food vendors dishing up local delicacies. A few restaurants that stood out were Zea Rotisserie and their corn grits, Dante’s Kitchen with their shrimp and grits, PF Chang’s chicken lettuce wraps, as well as several others. Even as we were leaving over an hour later, there were still numerous food options available. The event culminated with an awards ceremony recognizing top finishers with impressive trophies, another brass band performance, plus costume and karaoke contests. Even participants that didn’t win a trophy or couldn’t carry a tune walked away with plenty of great Tipitina’s schwag. The first 500 people who registered for the race received a bag full of items unique to the race. Karen commented as we were walking back to the car that she couldn’t believe everything that we received for the $30 registration fee. Between the post race party and the event, it was definitely well worth it. After leaving the race site, Emmeline realized that we were 2 blocks from our favorite snowball stand. Hansen’s Sno-Bliz are unlike any other in the city, and I couldn’t think of a better post-race treat than a Satsuma snowball that tastes like you’re biting in to a fresh picked piece of fruit. We stopped for our last snowball of the season and headed back downtown to shower before a post-race meal. 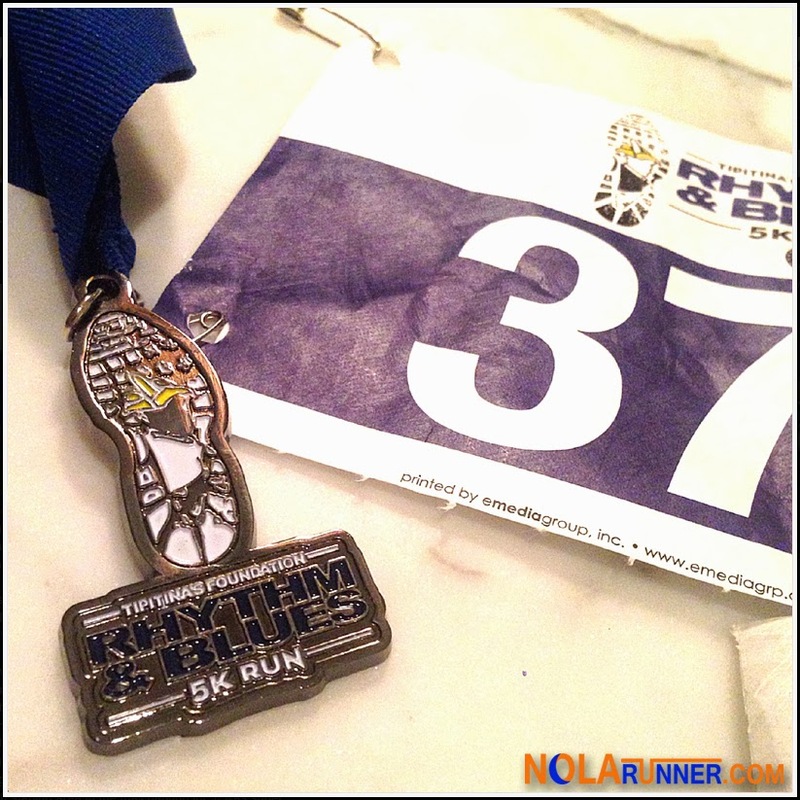 The New Orleans Track Club put on another great race with the Tipitina’s Rhythm and Blues 5K. 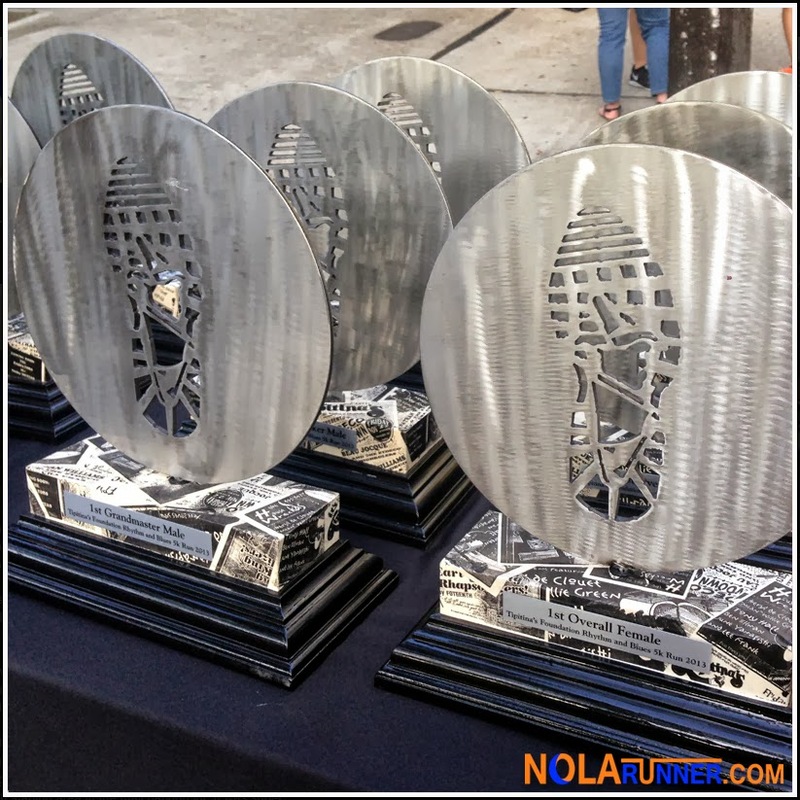 The joint effort between the organization and the Tipitina’s Foundation resulted in a top notch event that left an out of town participant jealous of the races that we have in the Crescent City. I think it’s a safe bet that she’ll be scheduling future NOLA visits around track club events, and I’ll be right there alongside her. 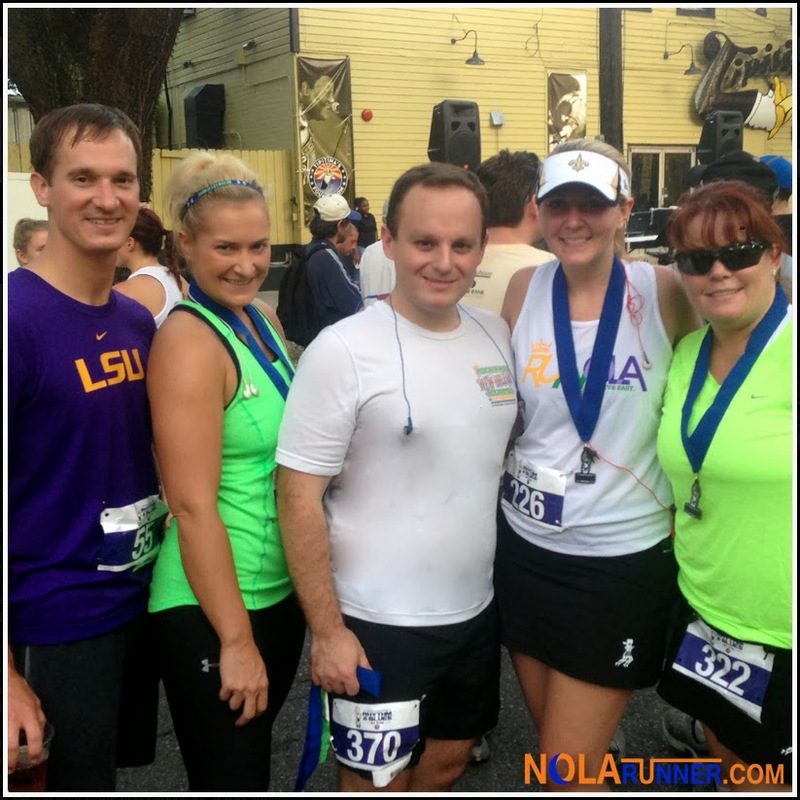 Check out more photos from race day by liking the NOLArunner Facebook page HERE! Wow! Looks like it was definetly a fun event! It was, Nicole! Definitely a great event. I'm sorry I didn't make it out to the first year in 2012, but I will do my best not to miss it again.